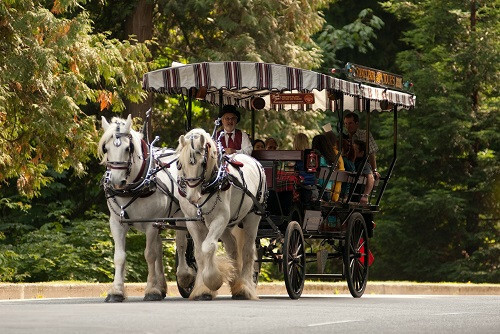 There are several different ways to get around Stanley Park, but there’s no way more elegant or romantic than a horse-drawn carriage. Step aboard one of the public trams for a narrated tour through Vancouver’s thousand-acre wonderland, with highlights like the Rose Garden, Empress of Japan Figurehead, and the Lions Gate Bridge. For something a little more intimate, indulge in a private carriage rental. Feel like royalty in a white Vis-à-vis style coach or a Cinderella pumpkin coach. Though B.C.’s winemakers have an abundance of award-winning red and white wines, the signature wine style of Vancouver is icewine. A dessert wine made from grapes allowed to freeze on the vine, it’s a sweet wine that only a few regions in the world can naturally produce. Several wineries in Okanagan Valley make it and offer tours and tastings, but for anyone who doesn’t want to make the trip, bottles can be purchased in liquor stores in Vancouver. Make it the finishing touch to a romantic dinner at home or picnic. Best served chilled and served with strong cheeses, fruits, and nuts, it’s excellent for spring picnics or finishing off the evening at home. Looking to get styled before a big date on a budget? Book an appointment at the Aveda Institute, an internationally recognized beauty school for future award-winning hair professionals. All the students have been given plenty of practice, and prices vary their level of experience. Give a future stylist some practical experience while getting a fabulous new look without breaking the bank before heading out to impress your date. For fine dining in the mountains, there’s no better place than the Observatory Restaurant. Held at Grouse Mountain, this upscale West Coast dining establishment features options like baked Pacific oysters, golden ears smoked gouda & mushroom tart, sour cherry sorbet, and Brandt Lake Wagyu beef. The only thing better than the food, however, is the view. Huge, slanted windows offer a supreme view of the sparkling ocean, towering evergreen forests, and Vancouver illuminated at night. 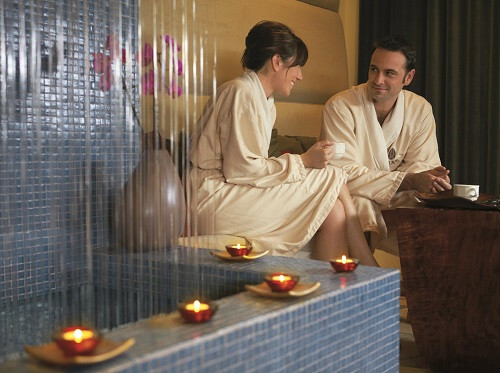 Why not make reservations in time to bask in the romantic glow of the sunset, or when the stars are twinkling in the sky? Even better, admission tickets and access to Grouse Mountain activities are complimentary with advance dinner reservations, meaning you and your loved one will have plenty to enjoy before dinner.